Like all other forms of entrepreneurship, blogging can feel pretty scary sometimes. We invest so much of our time, and money, and more than a few tears into the process of creating this THING that we just hope is going to take off. But we don’t actually know if it will. And sometimes, it just feels like we’re failing. Like no matter what we do, our traffic isn’t growing, we’re not generating income, and the only people actually reading those posts we’re working so hard on are either related to us, or actually us using a different computer. It’s hard not to question, sometimes on a daily basis, whether or not to invest more time and money into our blogs or to just call it quits. But do you want the truth? The truth is all that negative self-talk isn’t going to get you to where you want to be. If you want to build a thriving and sustainable online business or blog, then you need to reframe your mindset and pinpoint where you can make improvements. It’s hard feel not feel like you started blogging too late–if only you started 5 years ago, or 10, then you’re blog would be more popular today. But that way of thinking just isn’t productive. There’s plenty of room for new blogs! BUT….that’s not to say that blogging hasn’t changed. It has. Of COURSE it has! Blogging looks so different now than it did say in 2010. It changes each and every year, but that’s the nature of this business. But that doesn’t have to be scary. It also doesn’t mean that you have to jump on every single trend, or be an early adopter anytime something new comes your way. As bloggers, there is always a balance that we have to strike between staying the course while also staying current. Following the latest trend will only be valuable to you if it fits within your bigger picture plan. Social media platforms like Pinterest and Instagram and Facebook have made it easy to get pageviews if you post something that’s click-worthy (not necessarily trustworthy). Creating click-bait for pageviews just doesn’t work anymore. Authenticity is king. You need to continue cultivating relationships and creating a community by sharing your voice with your readers. Being more authentic, more real, more approachable, and more polarizing helps foster relationships, and adds depth over breadth. It also helps grow a tribe of raving fans, not just your numbers. Because those raving fans are the ones who will buy your products and click on your affiliate links. Those are the ones who will trust what you have to say, and therefore trust what you have to sell. And in the end, that’s a win-win for everyone. According to Daily Infographic, in 2018 the ideal blog post length is 2100 words, and nearly all of the top 10 Google results are posts and articles that fall between 2032 and 2416 words. Not only that, posts that have more than 1500 words receive 68.1% more tweets, and 22.6% more Facebook likes. Longer, deeper, more helpful content gets noticed, read, and shared. These days those search engine and social media algorithms are designed to seek out quality content. 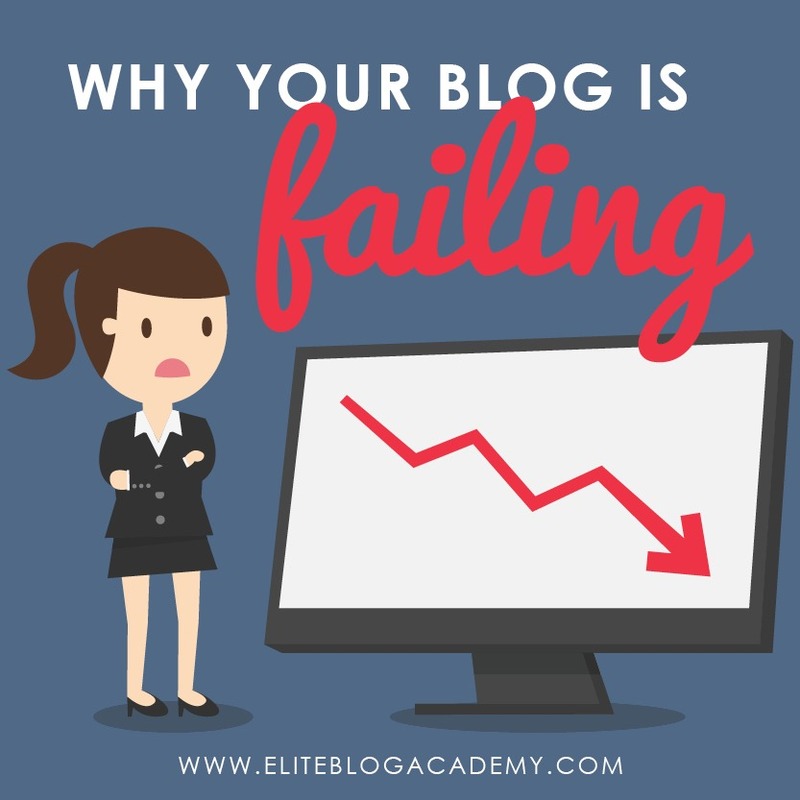 And that means for bloggers that it is no longer about getting as much content out there as possible, or about keyword stuffing an article to “trick” Google into ranking higher. It’s not about adding a bunch of pretty pictures and some great graphics to an otherwise inconsequential piece of fluff in the hopes of going viral on Pinterest, because if the content isn’t as good as the image, Pinterest will end up penalizing that post. Your blog doesn’t have to remain the same, year over year. It’s time to take chances and add some versatility and variety into your’re business. You have the ability to set up your blog as the hub of your business and the FACE of your business, and create all these spokes around it. There’s the social media spoke, and maybe the micro-blogging you do on Instagram, or the community you have created through your Facebook group, or the trust you’ve built through email. There is video and podcasting and products, and so many other ways to expand your reach. Blogging these days is so much more than just posting your 1 or 2 or 3 posts a week, throwing it out there to the world and hoping you get some pageviews. And if you are not taking advantage of this versatility, if you’re not allowing your blog to be the central hub of your multi-faceted business rather than the business itself, then you might just be missing something. Because it is that versatility that also creates stability in a world that sometimes feels like it is always changing. It is that versatility that allows you to be flexible and keep up with the trends, while also staying the course and staying focused on your big goals. That versatility allows you to shift gears without having to start over. The versatility gives you longevity. And it is the longevity that is key. Your versatility—and your willingness to just keep going, keep trying, and keep adapting, no matter what—is the key to your success as a blogger. Because, at the end of the day, the only thing separating those who succeed from those who fail is is that successful people have the grit and tenacity to just keep going, no matter what. I’m having such a hard time with the idea of a 2,000 word blog post. I personally don’t have the attention span to read a post that long and the average of what I write is 5-600 words. I think this is going to be one of those “rules are for suckers” moments for me. BTW, just started listening to the Do It Scared podcast recently on Google play music… Loving it and every podcast has had a solid takeaway for me! I started my blog a few years ago with the idea that creating meaningful content could stay in the range of about 500 words. But after I got more experienced I found I couldn’t get my point across while staying with that model. Now, my posts are in the range of b/w 650 and 800 words. Having said that, I too wonder about my audience and their attention span. Could they stay on page to read a 2500 word post? Maybe I guess? So, I will have to do additional research on a few of my favorite research platforms to consider lengthening my articles. That brings me to another point. Books that is. I and writing my first full length book, which is almost complete, and has a word count of 78000 words. I have worked on this for the past 3 months. In keeping with the book theme, I could write a book that has about 3000 to 4000 words. Marketing this would help me reach my monetary goals. Which have been flat lined since I started my Blog a few years ago. Maybe one day I will hit pay dirt because I refuse to throw in the towel just yet. I’ve been so excited to see lately that the best post lengths are around 2000 words. I’m a teacher and animal scientist turned blogger, so when I first started writing I always worried that my posts would be too long. I’ve noticed that even my lengthy posts that are pushing 3 or 4000 words still get read. Apparently if people are looking for information on these topics they don’t mind reading a little more. The extra words in a 2000 word post versus an 800 word post really gives me time to explain my topic and give details. Thanks for always giving amazing info!! It’s very true that search engines are now focusing on the quality of contents. Readers also love in-depth contents. It is also true that long form of contents can sometimes be scary for readers. I actually love to read short form of contents. As a blogger we should consider both things. So, I try to publish both short and long form of content in my blogs. However, thank you for sharing these nice tips in this post. Great post and nice to hear the good work you and your team are doing to bloggers. I have learned from the four things we need to pay attention to as bloggers. As you indicated rightly not to keep changing our plans because of new trend occuring in the industry.